Dr. Christopher McGinley, superintendent of the Lower Merion, Pennslvania school district that is currently embroiled in a national scandal over alleged spying via webcams in school-provided laptops, replied to the allegations in an email sent out to parents today. 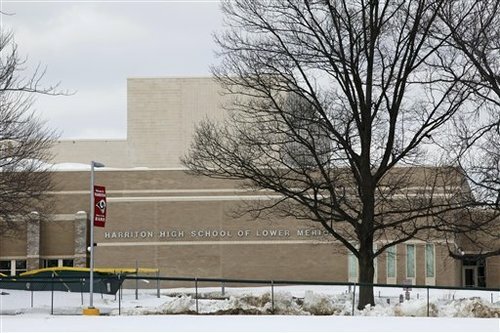 Some background: Lower Merion School District, located in the stretch of the Philadelphia suburbs known as the Pennsylvania Main Line, is one of the wealthiest and most decorated public school districts in the country. It’s even able to provide Apple MacBook laptops to all 2,300 students in its Harriton High School–a luxury that’s increasingly looking more creepy than admirable. Students had been reporting for the last year that the tiny green LED light next to their school-provided laptop’s webcam had been lighting up at random times, indicating the webcam itself was in use, for no clear reason. That problem was waved off as a technical glitch by the school’s security and technology department. monitor some of our food vending machines. that a good job can always be done better. administration to revisit security procedures. — Immediate disabling of the security-tracking program. — A thorough review of the existing policies for student laptop use. — A review of any other technology areas in which the intersection of privacy and security may come into play. district-owned property while being used by students. email us at info@lmsd.org. Additional information has been posted on our website, www.lmsd.org. I contacted a teacher at the Lower Merion School District, who told me that the teachers and other staff are under “a very severe gag order” not to speak to press–it is an ongoing legal case, after all, and the school district is being very careful not to say anything to incriminate themselves. I spoke to a few other people in the community (I grew up on the Main Line myself, just down the road from Lower Merion) who said that the story has been dominating local news–the Main Line Times seems to be camped outside the high school–and that parents are extremely concerned about the possibility of school officials being able to spy on their children outside school grounds.